New adventures with original characters Tommy, Chuckie, Phil, Lil, Susie and Angelica. 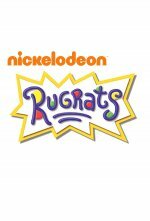 Rugrats release date is set for Friday, January 29, 2021. This will be a Nationwide in theaters release. Based on the iconic Nickelodeon series. Described as a live-action feature film featuring CGI characters (Hollywood Reporter, 7/17/18).